Website Under Construction - Please Check Back Soon! East Hill Massage and Aesthetics is nestled in the heart of Pensacola’s beloved East Hill neighborhood in a cozy vintage building across from the iconic J’s Bakery. We are owned, operated, and staffed by women, with a natural and instinctive desire to bring comfort and wellness to our family of clients. A warm, welcoming team of award-winning Massage Therapists and Aestheticians are waiting to attend to your needs with an extensive selection of massage and bodywork services and genuinely personalized skincare, as well as airbrush spray tanning and organic hair removal. Here at East Hill Massage and Aesthetics you’re in good hands! Our skincare experts use Bioelements’ fusion of science and nature to create powerful formulas that have been custom blended just for you. This specialized technique allows your aesthetician to evaluate your immediate needs or concerns and create completely unique products for your service. Using organic sugar to remove unwanted hair not only removes the hair, but provides a needed exfoliation, leaving the skin smooth, and removing lifeless layers of skin cells. Sugared hair grows back slower than hair removed by shaving and when it does grow back, the hair is finer, softer, and sparser. 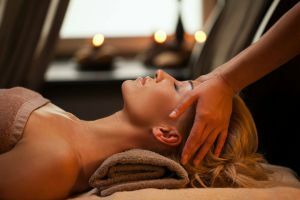 Our massage therapists use a variety of techniques including therapeutic massage, hot stone massage, sports massage, oncology massage, manual lymphatic drainage, Thai total body stretching, and medical-grade cupping to provide relaxation, pain management, and symptom relief. Schedule a Service Tailored to your Needs!